This is the biking portion of the Jean-Pierre Chouteau Trail that runs from Okay, OK to Ft. Gibson, OK, near Muskogee, OK. 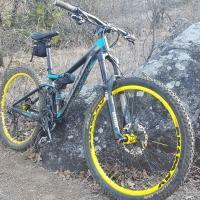 This easy to moderate, multiuse trail follows along the Verdigris River. Can be muddy. Pa** Port of Muskogee. The entire Jean-Pierre Chouteau Trail is located alongside the MKARNS from a point near Ft. Gibson, OK, is 60 miles long, has a total of 15 bridges spanning streams and six public use areas with camping and picnicking facilities, and is on the National Register of Trails. Review: Hard to find. Not taken care of. I saw several "no trespassing" signs and "Do Not Enter...Leased Land" signs. Review: I am trying to get this trail back up to where it ought to be. The Corps has taken the trail back over (it's no long a National Recreation Trail) and is willing to work with me. If you wish to help, please contact me at glenn218@yahoo.com. Review: Last time I biked this trail from the west, you started on the north side of the river at US 66, followed the road under the turnpike to the trail, and after a while, swam across where a bridge used to be. Similar Trail: Nothing comes close! Review: Impassable @ Ft Gibson trailhead because extremely overgrown/neglected. Couldn't get more than 100 yds from trailhead. 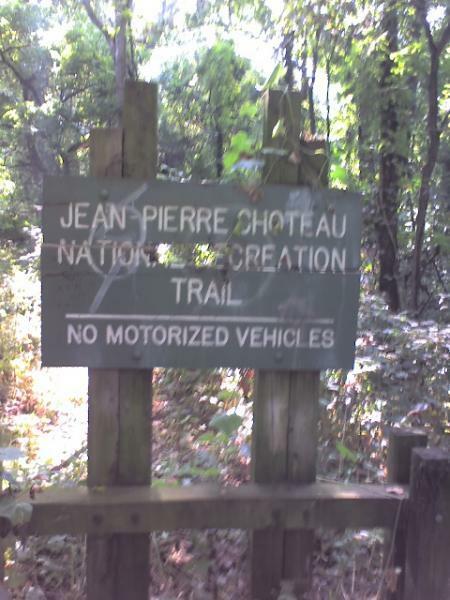 Review: More information about the JEAN PIERRE CHOUTEAU NATIONAL RECREATION TRAIL is at www.geocities.com/graystrickland. Jean-pierre Chouteau Trail MTB Trail 1.33 out of 5 based on 6 ratings. 6 user reviews.